Before the events of May 2nd, 2014, Odessa was one of the centers of resistance to the coup d'etat in which the leaders of pro-EU street protests in the capital of the country, Kiev, came to power. Politicians who supported the West (EU and US) provoked clashes with the security forces in Kiev. As a result of such provocations, the first blood was shed. Unidentified snipers most likely subordinated to the head of the Maidan “defense forces”, Andrew Parubiy, provoked armed clashes in which more than a hundred people were killed. Neo-Nazi groups unified over the course of the events on the Maidan into the “Right Sector” organization actively participated in the coup. Dmitry Yarosh, the then head of Right Sector, was also assistant to the former head of the Ukrainian Security Service, Valentin Nayvaychenko, who is known for having close ties to the CIA. The new leadership of Ukraine decided to completely subjugate the country's foreign policy to the West. The parliament, out of which deputies from the former ruling “Party of Regions” were squeezed, began to distribute ministerial positions to outspoken neo-Nazis. The law protecting the regional status of the Russian language and other languages of national minorities was abolished. As a result, the predominantly Russian-speaking majority of the South-East of the country, who consider themselves to be part of the Russian World, recognized the intentions of the government to be clearly hostile. Large-scale protests began across the South and East of Ukraine, and in March 2014 Crimea held a referendum on sovereign secession and then joined the Russian Federation, which could not dare leave this strategically important peninsula to an uncertain geopolitical future as part of Ukraine. In April 2014, rebels in the Donetsk region proceeded to form an armed resistance to Kiev. Odessa as well remained one of the most strategically important cities in which the majority of the population did not consider themselves Ukrainians and had no desire to live under the new, nationalist Ukraine. However, the massacre in Odessa also bore some unforeseen consequences for its organizers. With this tragedy, the Ukrainian national idea had clearly demonstrated its monstrous, inhuman traits. The fact that a significant portion of Ukrainians joyfully welcomed the painful death of more than a hundred of their fellow citizens once again demonstrated the destructive, nihilistic character of Ukrainian nationalism. 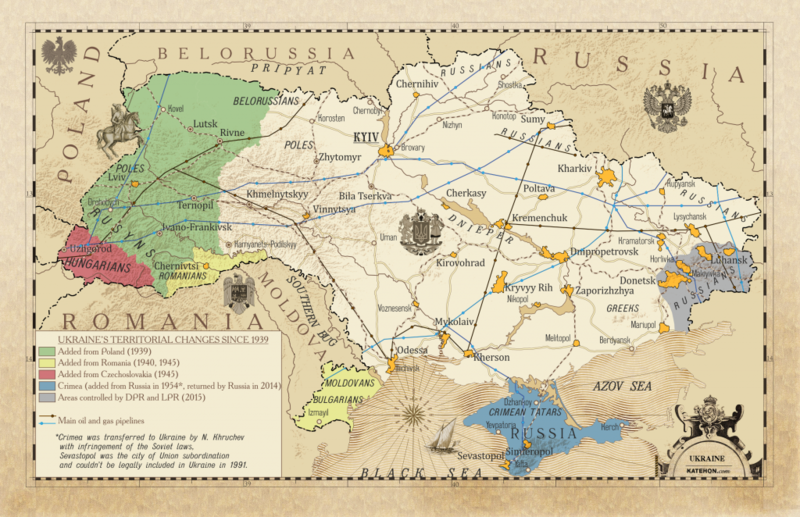 This contributed to the opposite side’s bitterness and ultimate split from the Ukrainian society. It was the tragedy in Odessa which in fact contributed to the growth of radicalism in Donbass and served as the main factor that inspired locals and most of the volunteers from other regions of Ukraine and CIS countries to take up arms. Organizers of the Odessa massacre temporarily retained Odessa, but lost parts of Donbass. For one part of Ukraine's population, what happened in Odessa became a point of pride. For the other, it was a terrible crime which demonstrated that they would never be able to co-exist with the others in one country unless Ukraine would be de-Nazified.